As the third largest country in the world, China has 34 administrative provinces, autonomous regions and municipalities covering hundreds of cities and thousands of attractions. Difficult to find the right place to go? No worry, we have made it easy for you. Since we are local and know China well, we take you to explore the best of bests. 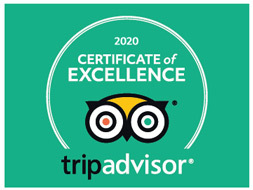 We have collected more than 70 tourist destinations which are most classic, impressive, featured cities, provinces, or regions, then diligently designed more than 300 trips that combine different themes, variety experience, value and convenience from north to south, west to east, mountains to the prairies, cities to the villages, rivers to the lakes. So no matter the wild nature, authentic culture or ancient historical sites you search – we are already there. Let's discover top 10 places to go with the following TOP 10 China destinations. 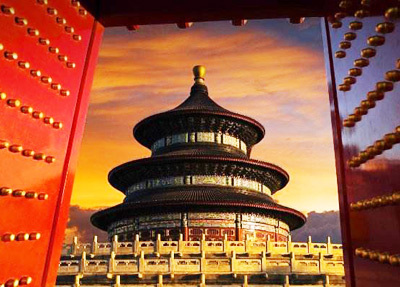 Beijing and Xian are famous as the capital cities of ancient China which dominate many world heritages, such as the Great Wall, Forbidden City and Terra-cotta Warriors. Shanghai and Hong Kong offer you the chance to experience the hug contrast of the past and present. 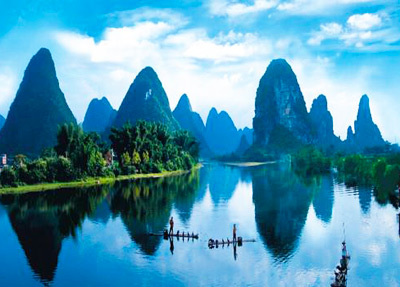 While in Guilin or Yangtze, you can have the most relaxing cruise while enjoy the pleasant landscape. 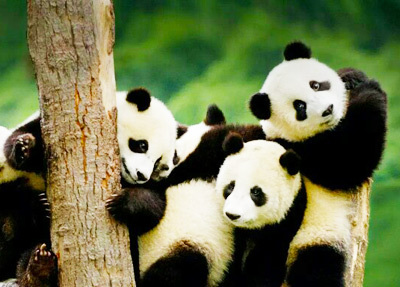 Don’t miss the hometown of Giant Panda Chengdu where you can also taste the famous Sichuan Cuisine. 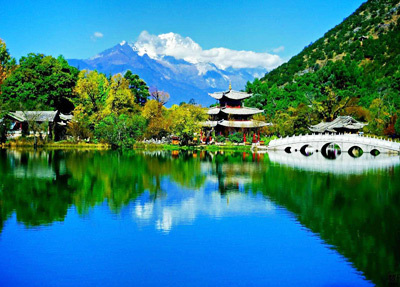 Yunnan province is also a wonderful place to go to see the ethnic culture, ancient cities, and clean weather. 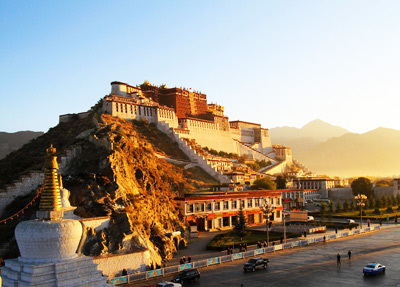 Maybe you are planning to take the once in a lifetime trip to the last pure land on earth – Tibet? Want to discover something different? Come to the ancient Silk Road! Locate the ideal places to go on our China travel map. 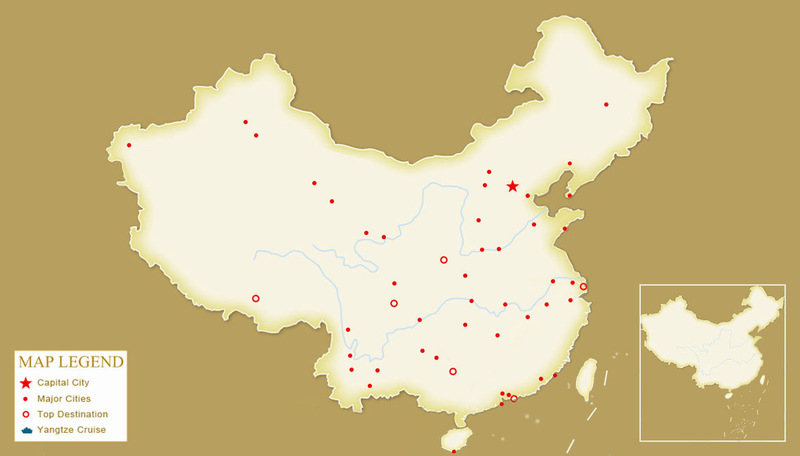 Just click on the destination you wish to visit on the interactive map of China below. On the map, you can find the location of cities, and learn its nearby and estimate the distance. After click in, you not only get the detailed travel information about this destination, including things to do, hotels, maps, weather, transportation, but also get recommended tour packages that can be customized according to your specific requirements. In Inner Mongolia, visit the most popular cities Hohhot, Baotou, Ordos, Hulunbuir with famous grasslands! Other highlights like Resonant Sand Bay & Mausoleum of Genghis Khan are included. Lanzhou played a very important role in Chinese history. It used to be an important stop along the Silk Road as well as the head of the famous Hexi Corridor. Gansu is not only a tourist city, but also a convenient transfer hub. Kaili, the center city of Southeast of Guizhou, riches in ethnic minority cultures and gathers many different ethnic minority groups, especially the Miao group. As many major ethnic festivals hold around here, Kaili is the best place to enjoy ethnic traditions and customs by visiting various ethnic villages. Turpan has abundant travel resources of both nature and culture, which makes Turpan one of the most popular destinations in Xinjiang. Kashgar has been an important trade and cultural centre of Xinjiang as well as the Silk Road for more than two millennia! Tianjin, known as the diamond of Bohai Bay, is the best gateway to the capital of China - Beijing. It is good to stay 2-3 days before or after Beijing trip! 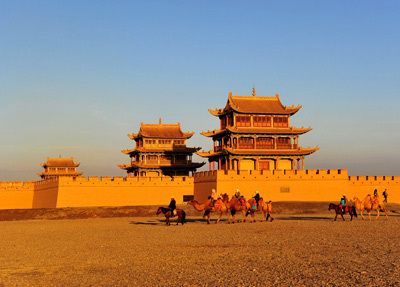 Datong is famous for Yungang Grottoes, the World Heritage Site. Also, the nearby Hanging Temple and Yingxian Wooden Pagoda are the must-sees when traveling in Datong. Jingdezhen, the world-famed Porcelain Capital of China, has a 1700-year history of ceramic making and a rich cultural heritage. A tour to Jingdezhen is perfect for Chinese porcelain and ceramic lovers. Occupying a prominent position of royal Taoist Mountain, Mt. Wudang is situated in the northwest of Hubei Province. Connected with Taoism, Wudang Kungfu was formed here.Featuring ancient building complex, there are kinds of temples and palaces in Wudangshan for viewing. The capital of China & home to many wonders: the Forbidden City, imperial palaces and gardens, traditional Siheyuan in Hutongs, the Great Wall and the modern symbolic Olympic Site. The home of the world famous Giant Pandas! A leisurely city (as one would expect for Pandas’ hometown) where you’ll experience the great local tea and delve into fascinating local culture. Changsha, the home town of Chairman Mao, is the best place to learn about China’s revolutionary past. With more than 3,000 years of history, this city also owns many historical relics, from which you can explore rich culture. Chongqing, called the mountain city, is overlooking the Yangtze River and Jialing River. It often serves as the starting point for scenic boat trips down the Yangtze River through Three Gorges and the Three Gorges Dam. Located in central west of Yunnan Province, Dali the Bai Autonomous Prefecture features its Ancient Town and landmark buildings-Three Pagodas. The famous must-sees Cangshan Mountain & Erhai Lake like a pair to present you what is harmonious fusion of nature. Dalian, the vibrant economic center and tourist city in northeast China, offers not only the pleasant climate, and nice beaches, but also year-round festivals for visitors enjoy the charm of the city. Dunhuang, one of the important trading posts along the ancient Silk road, is the best start for you to explore the ancient grottoes, exquisite mural paintings, and the magnicicent Gobi views. Famous for the finest scenery under Heaven, Guilin is like an epitome of traditional Chinese painting with a world of unique karst landscapes, rivers and countryside. It is also the paradise for cruising, cycling, etc. Guangzhou awaits your visiting respectively with many things to do! It features in its unique way of lifestyle, liberal ideas, distinctive cuisine and tremendous wealth. Guiyang, the capital of Guizhou Province is the best transfer city to enter Guizhou and explore ethnic minority cultures. While making a short stay in Guiyang is worthwhile to Qingyan Ancient Town with typical stone house, the city landmark-Jiaxiu Tower and more scenic sport for you to discover. This world famous city, the Pearl of the Orient, is alive with a unique mixture of Eastern and Western culture. A powerful introduction to what lays ahead. Harbin, the Ice City of China, is one of the best winter destinations.The famous International Ice and Snow Festival attracts millions of travelers both home and abroud every year. The city of Heaven, is one of the ancient capitals of China with the most magnificent scenery. The picturesque West Lake, time-honored Lingyin Temple will show you more than the natural beauty but also mysterious legends. The ancient scrolls of Chinese landscape paintings of high mountains, ancient pines, bizarre rocks, and seas of clouds come alive here. With a side trip to Xidi, Hongcun ancient Villages, you can experience the most of Yellow Mountain area. Luoyang, one of the great ancient capitals of China with various time-honored cultural heritages, is also the home of Longmen Grottoes. Here you can experience the authentic Chinese Kung Fu in the Shaolin Temple. Known as the capital city of six dynasties in ancient Chinese history, Nanjing has a brilliant cultural heritage including mausoleums, temples, museums, classical gardens and many other historical and cultural sites. The Pingyao ancient town is the assembly place of folk houses where rows upon rows of buildings in the Ming & Qing dynasties stand in well-preserved conditions. The mysterious pearl on the holy Qinghai Tibet Plateau features both in stunning plateau natural landscape, as well as long last ethnic culture and Buddhism history. Let’s enjoy the amazing Qinghai Lake and start your Qinghai Tibet Railway Experience here. Enjoy the sunshine and beach with the featured Li & Miao Ethnic Culture! Sanya, the beautiful coastal city, offers you the most relaxing and amazing seascape, comfortable accommodations and abundant marine activities. Jinan is the capital city of Shandong province. Taking a trip to Jinan city, you will not only enjoy the famous Baotu Spring and Daming Lake in the city center, but can also take a side trip to the nearby Mount Tai and the birthplace of Confucius. A special blend of modern life, Chinese & colonial history, and creative artistry bestows Shanghai with a magical atmosphere. 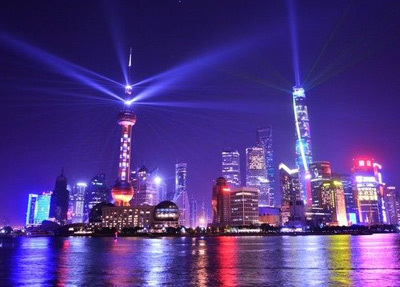 Better city, better life - that's Shanghai's motto after the 2010 World Expo. If you travel in Shenzhen first time, you will be mazed by its numerous theme parks which presents Shenzhen's passion and creativity.There are also some fascinating historical sites, particularly those related to the Hakka culture. Suzhou, regarded as the heaven on earth, is famous for historical significance and beautiful landscape gardens. It is worth paying a visit to the UNESCO World Heritage Sites and the silk factory to appreciate the best of Chinese gardens and fine silk. Tibet - it's the trip of a lifetime. No other destination provides such unforgettable memories as this deeply moving experience: its landscape, people and religion are truly one of a kind. Wuhan is the capital of China Hubei province and a major port on the Yangtze River. Visitors come to Wuhan not only to explore the ancient history and thriving present, but also to take a relaxing Yangtze cruise. 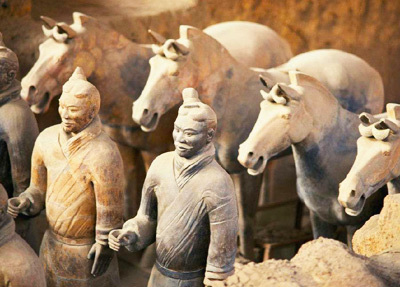 The Terracotta Army and the Qin Emperor's tombs possess thousands of years of history. Imagine the unbelievable effort involved in creating a wonder like this in ancient times! Xiamen, the southeastern port city of Fujian Province, is praised as the most romantic leisure city of China for the spectacular scenery in Gulangyu Island. Also unique cultural & historic experiences in nearby Fujian Tulou, Nanputuo Temple are available. Urumqi used to play a very important linking role on the ancient Silk Road, and has created its own brilliant Western Region Culture of many different groups to minority and custom. Enjoy the riverside landscape and on-board activities on a cruise ship. Whether you are looking for a relaxing vacation on-board or a fast paced trip full of shore excursions, Yangtze River cruise is your choice. Yichang, located in Hubei Province, is the best gateway to Three Gorges and Three Gorges Dam. 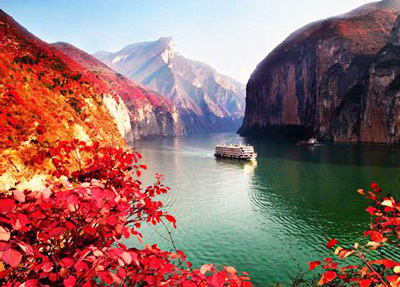 You could take the 5 days upstream or 4 days downstream Yangtze cruise from/to Yichang. See the Hallelujah Mountian in REAL! 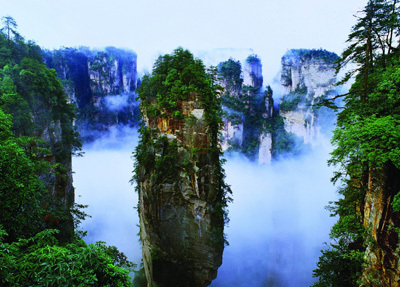 Zhangjiajie, in the northwest of Hunan Province, is famous for its featured landscapes, such as the deep valleys, magnificent mountain ranges and grotesque stone pillars. Qingdao is one of the most popular destination for trips in Shandong. While visit Qingdao, you will not only appreciate the beautiful scenery of the sea and beaches, but also enjoy the world-famous Tsingtao beer. In Fujian Tulou, you could discover the exceptional examples of traditional building, experience the legendary Hakka culture and immerse yourselves in China rural life. Renowned for the World Heritage Site - Hani Rice Terraces, Yuanyang County in Yunnan is a paradise for best natural landscape, which attracts thousands of tourists worldwide to indulge in Yuanyang. Nearby place Jianshui is also a must-see. Kunming, known as the "Eternal Spring City", is the capital of Yunnan province. It gathers multiple ethnic minority groups, combining different cultures and customs. Easy transfer to Dongchuan Red Land, Yuanyang Rice Terrace etc. As the capital of Henan province, Zhengzhou is known for ancient capitals in 8 dynasties. Stroll city to be immersed in ancient culture and history; Tour around to Shaolin Temple and be fascinated by the extensive Shaolin Kung Fu. Also Zhengzhou is a junction city, easy to transfer to Luoyang, Beijing and Shanghai. It's depend on your interests, budget and dates to choose the destination. If you have a week or more, you can travel to some large provinces, such as Tibet, Yunnan, Gansu, Shandong, etc. If you are seeking a city break, just choose a short city tour package whick usually takes 3~5 days. If you can't find the cities you can interested in on our website, please feel free to contact us. Our experienced travel experts can help you customize your own trip to any city in China.